He accused the BJP and the Lt Governor of using the Central Bureau of Investigation and Anti-Corruption Branch against the Aam Aadmi Party. 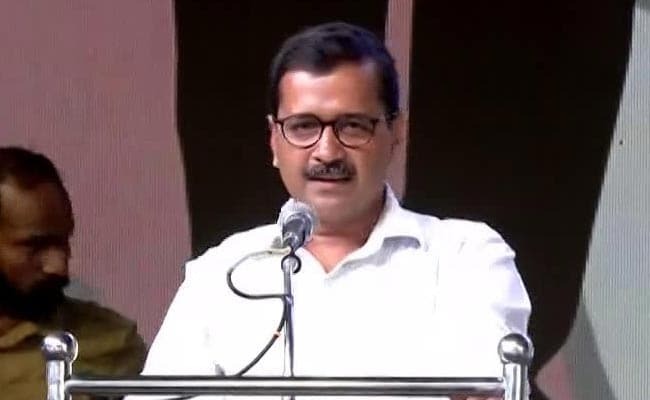 New Delhi: Delhi Chief Minister Arvind Kejriwal on Monday urged Prime Minister Narendra Modi to refrain from negative politics as people do not appreciate it. "The CBI is calling and abusing our officials. They are called for questioning and were being made to sit for hours," Mr Kejriwal said. He accused the BJP and the Lt Governor of using the Central Bureau of Investigation and Anti-Corruption Branch (ACB) against the Aam Aadmi Party. "The CBI is reporting to (BJP President Amit) Shah and PM Modi," the Chief Minister alleged. "lnstead of working on earlier cases, we are being dragged in newer ones. There are 14 cases already with the ACB and CBI. We want to see the status of those cases. "They are conducting raids in my house and also in the houses of other ministers. They are not able to arrest us as they know we are honest. All this is done to defame us. "The main intention is to stop our work," Mr Kejriwal said. "The Prime Minister is like a father figure to the nation. He should protect the people, not create trouble. If we are trying to open 1,000 Mohalla clinics in Delhi, he should open 10,000 throughout the country. People will be happy and will praise him," the Chief Minister added.